Did ‘Bama players use Deer Antler Spray? The company that says it provided deer-antler spray, a product that contains a banned substance, to Baltimore Ravens linebacker Ray Lewis also sold its goods to members of the 2012 national championship Alabama football team, according to a co-owner of the company. Are Deer Antlers the New Steroids? 31-Jan-2013 by THF in Hoot's Corner | Comments Off on Are Deer Antlers the New Steroids? In the competitive and bruising world of pro-football it seems nothing is too far-fetched for battered players in search of a fast cure, or an edge, even one made from the antlers of New Zealand deer. Frank Thomas said steroids have ruined baseball in the era in which he played and remains proud to have steered clear of performance-enhancing drugs during his career. As a bail bondsman, Shawn David Sullivan operated on the margins of the criminal justice system. Now he is in the middle of it. Sullivan was convicted on Tuesday of multiple felony drug charges for selling anabolic steroids to an undercover agent in 2010, officials said. Did steriod-induced ‘roid rage result in death? 23-Jan-2013 by THF in Hoot's Corner | Comments Off on Did steriod-induced ‘roid rage result in death? 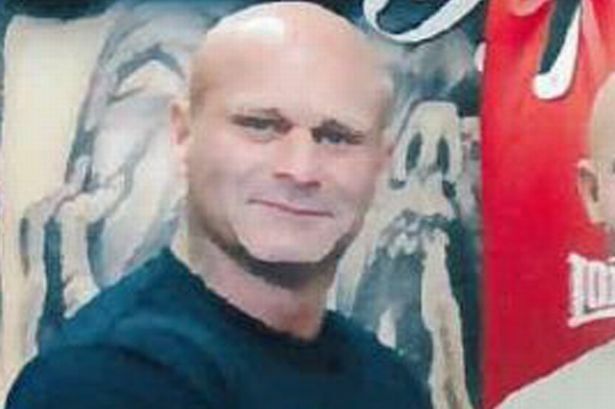 A man accused of murdering a gym boss in a fight told police avid bodybuilder David Hickman had attacked him in a fury due to steroids he had been taking. Should Rock Climbers Be Worried About Doping? 23-Jan-2013 by THF in Hoot's Corner | Comments Off on Should Rock Climbers Be Worried About Doping? As climbing moves toward its shot at the Olympics, the stakes are rising for the next generation of athletes. Will the temptation to get an edge be too much for some of them to handle? Police officers are using their position for sexual advantage and indulging in steroid abuse, which leaves them open to corruption. Force chiefs admitted that the abuse of power for sexual favours was one of the most common acts of corruption. The admission follows revelations that dozens of officers have been disciplined for inappropriate sexual behaviour. The University of Georgia Athletic Association and St. Mary's Health Care System will offer a free presentation on "Appearance and Performance Enhancing Drugs" Monday, Jan. 21, at Butts-Mehre Hall on the UGA campus. The program will be from 6 to 7 p.m. and is presented by the Taylor Hooton Foundation. A recent study by the University of Minnesota highlighted that about 1.5 million U.S.
South Africa gets serious about doping. More aggressive testing regimens backed by expulsion from school (not just sport) is aimed at curbing the growing use of steroid and other APEDs in that part of the world.